London & Langtree brings you the taste and eating pleasure of our original family recipes. Our products are made in an HACCP certified plant. This provides the peace of mind and confidence of a certified food safety management system. 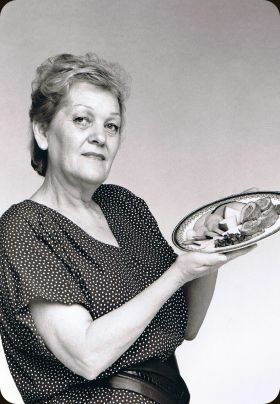 Susan, Anne’s daughter, has continued with her mother’s tradition of great food. She regularly pulls out those old recipe books of Anne’s to discover more of her secrets and tasty dishes. A great cook as well, Susan is creating new products to add to London & Langtree’s product line. London & Langtree is available in specialty retail stores and to food service. London & Langtree is currently sourcing nation- wide distributors. Our loyal customers and new customers will be able to enjoy London & Langtree anywhere, anytime. At an age when many women hang up their aprons Anne Lang- Gross transformed her life-long love of cooking into a business. When family and friends convinced her that her home-made sauces deserved a bigger role in the culinary world, London & Langtree was born. Still a family business, Anne’s recipes and love of cooking form the corner stone for new products.